Patches feel soft underfoot and are easily pugged. 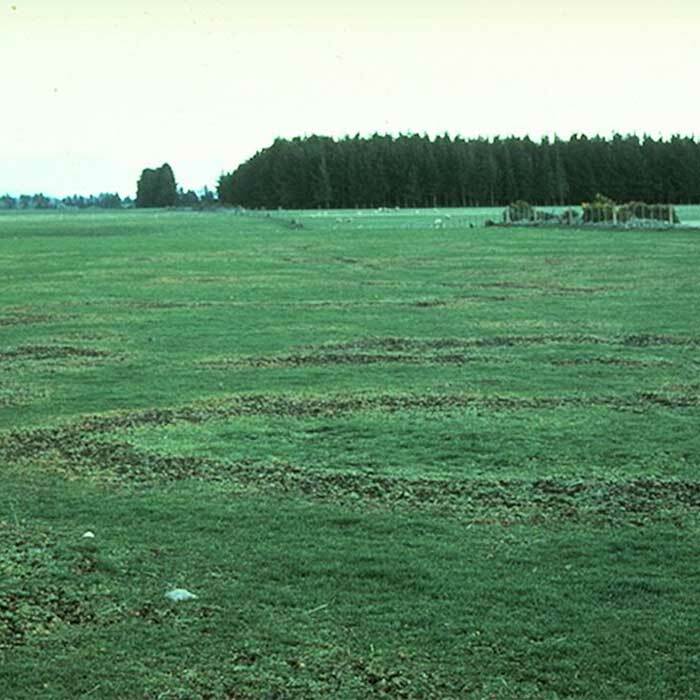 In pasture when grass-grub numbers are high the turf may feel soft underfoot, and can be rolled back as a result of lack of roots anchoring the plants to the soil. Patches of heavily infested pasture appear yellow relative to undamaged pasture and plants are easily pulled from the soil by stock. Damaged areas are easily pugged. 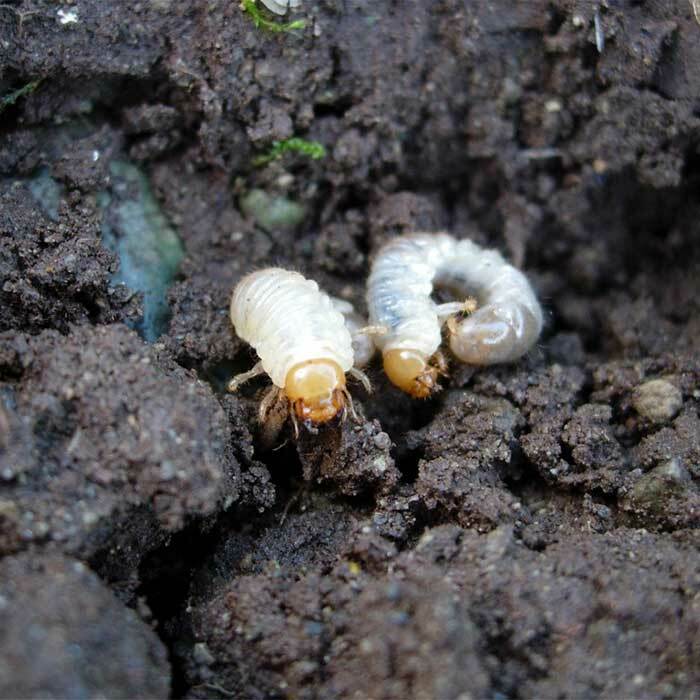 Grass-grub feeding reduces plant productivity and survival and when most severe pastures may need to be renovated. 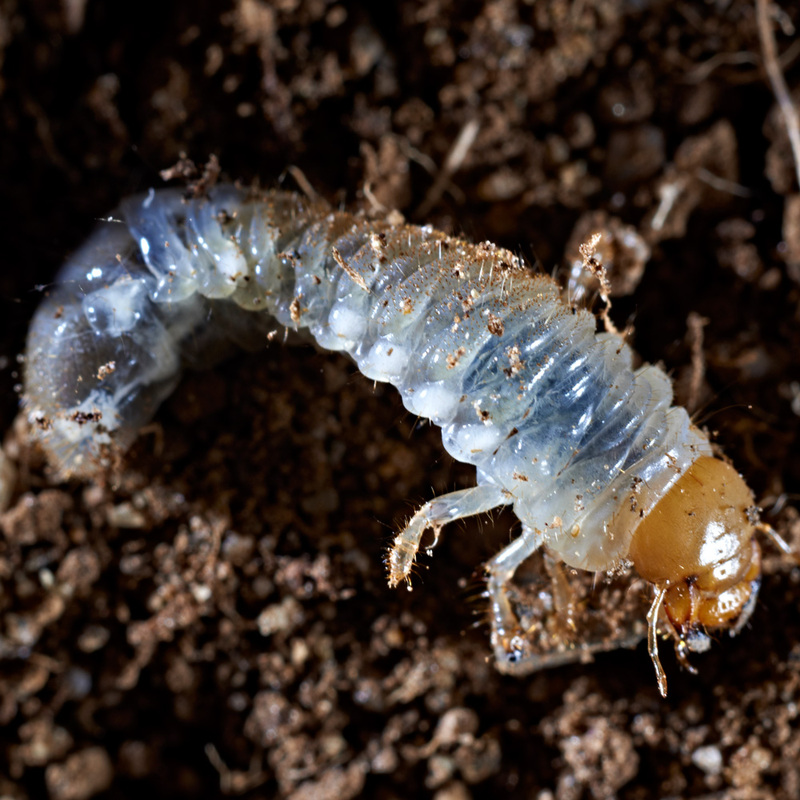 The density of grubs necessary to cause damage varies between regions and is related to soil temperatures and soil friability. Early warning strip – Autumn. 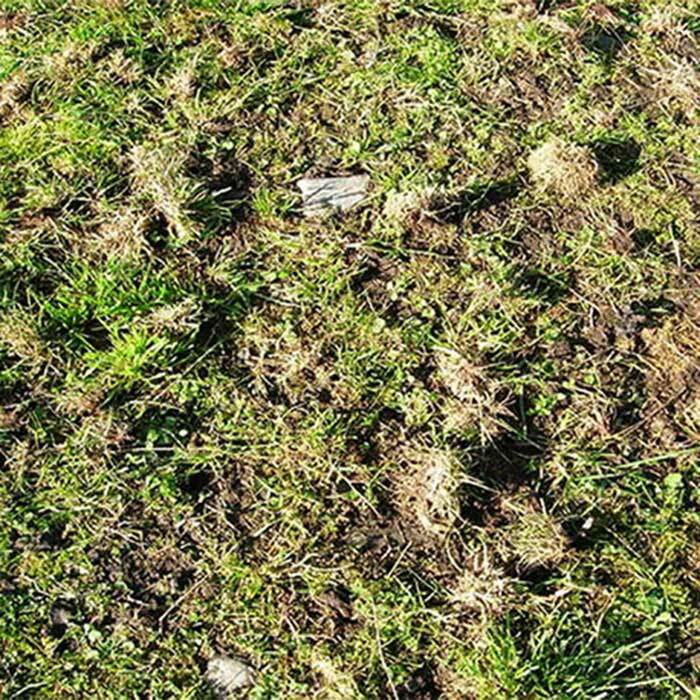 Apply insecticide to a marked strip (2 x 20 m) of pasture in an area where it can be easily seen. 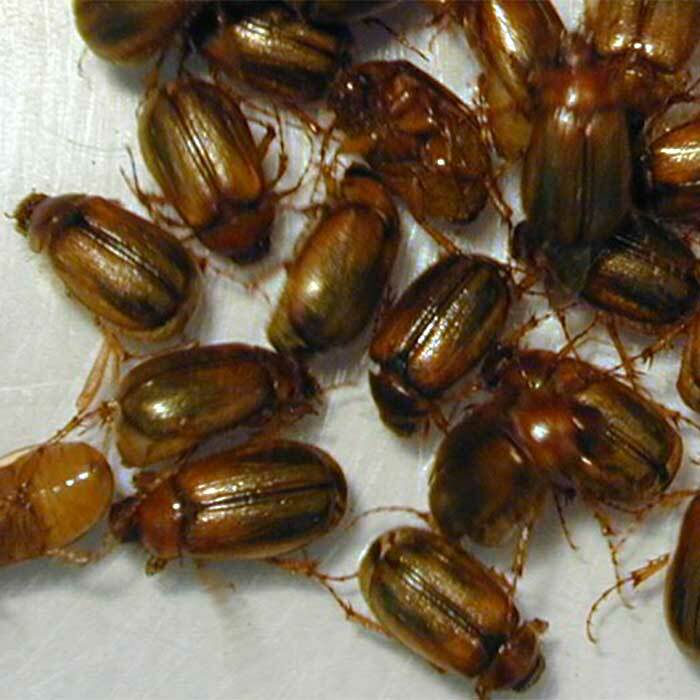 If strip appears “greener” than surrounding pasture after 3-4 weeks a pest is causing damage. 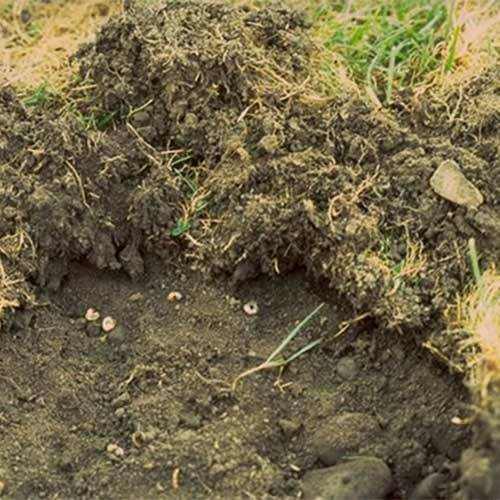 Dig and sort the soil to determine if pest is grass-grub. 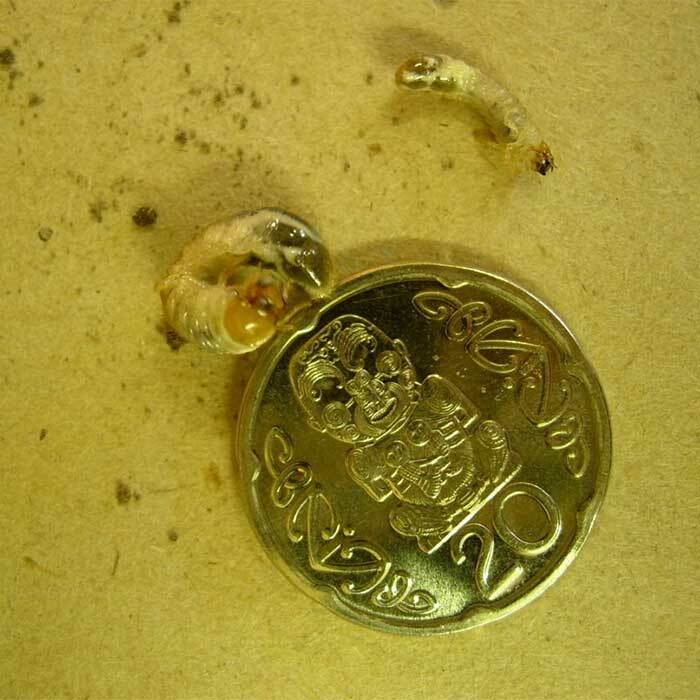 Densities greater than an average of 8 larvae per spade square (200/m2) will cause damage. Bioshield is a commercial formulation of a naturally occurring bacterium. This should be introduced to a grass-grub population (approx 150/m2) before damaging levels are reached i.e. the year before damage is expected to occur. It is unlikely to provide a high level of initial kill but can restrict the build-up of damaging populations in subsequent years. It is not effective against populations already causing major damage. 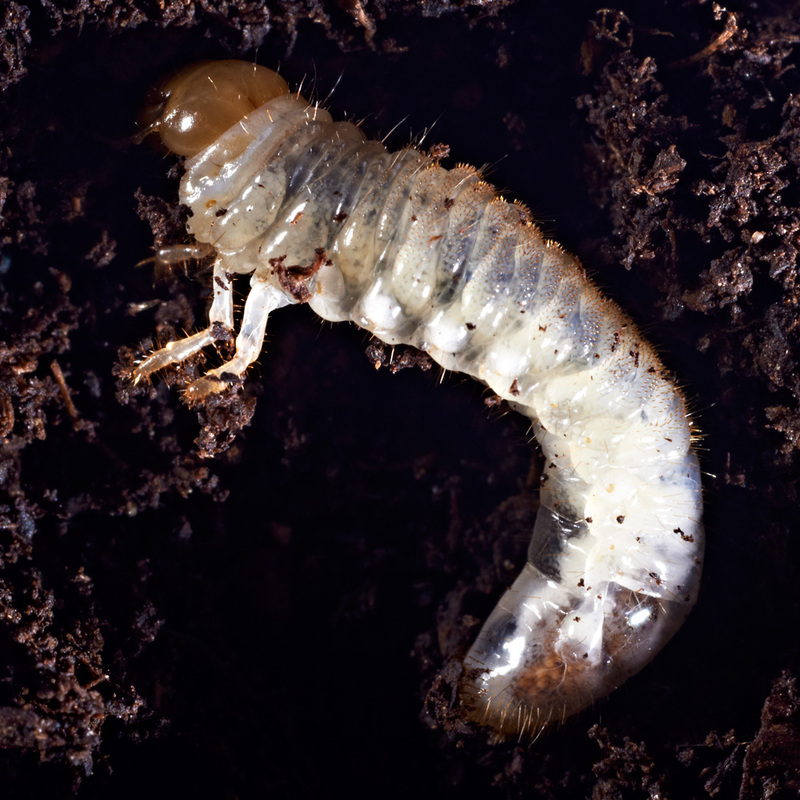 Apply while soil is warm and moist and grubs are active (late February to mid March). Some festulolium grasses (perennial ryegrass x meadow fescue cross) contain an endophyte (Neotyphodium uncinatum (U2)) that deters grass grub feeding.